It’s that time of year again when, in an attempt to get people to dig deep after tightening their belts for Christmas, online retailers are marketing Valentine’s Day. Of course, that is the cynical approach, but there is no denying that this annual holiday is a massive money-making opportunity, particularly in the digital age when online retail comes to the fore. With that in mind then, we’ve spoken to the team at PureNet about their top tips for guaranteeing conversions on your e-commerce site right in time for Valentine’s Day. The general pattern for e-commerce retailers is to find every product on their website that seems relevant enough to the Valentine’s Day theme and offer a discount alongside a promotional code. This is easy enough, but it doesn’t help you to stand out from your competitors, and it can also lead to a decrease in sales from new customers, who may be more likely to shop around. The aforementioned approach rather relies on the assumption that all buyers will already be looking for Valentine’s gifts. Instead, you need to focus on acquisition, which you can do by experimenting with a number of digital marketing methods such as email, re-targeting, Google Shopping and more. Think about your products – what can you offer the customer that is unique to your site? 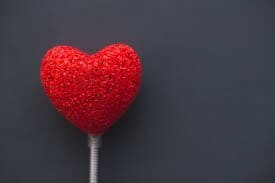 This year, Valentine’s Day falls on a Tuesday, which can have a significant effect on the time span of your campaigns. Your customers could be celebrating on the day, the weekend before or the weekend after, so you will need to ensure the campaigns start well in advance and also offer flexible delivery options in order to cater for all tastes. Don’t be a slave to the clichés – Valentine’s Day doesn’t have to be all chocolates and flowers! For example, if you’re a clothing retailer, you could focus on clothing for the big date, or if you’re trying to cater to those staying in, think about home treats e.g. snacks and movies (depending on your industry of course.) You could also offer your customers the chance to personalise a gift to decrease their chances of basket abandonment, providing your site has the right portals. When is there a better time of year than Valentine’s Day to spread the love? Remember to share all of your marketing campaigns and product offers on social media in order to garner the biggest audience. What’s more, you could even consider collaborating with a charity and inviting your purchasers to contribute, which will also raise your profile and encourage repeat business. With so many e-commerce options out there today, it’s no wonder that Valentine’s Day is a hit for online retailers. All you need is a little customer savvy, some innovation and great service, and this love story will write itself. Katie Thompson is a Content Marketing Manager at Agency51.